Welcome to the Chef's Office - this section is designed to help you run a profitable and food safe Kitchen operation. Cost calculators – free recipe and menu costing tools. Vital information from the FSA, highlighting the latest food labelling laws, correct Allergen reporting data and updates on crucial product recall information. 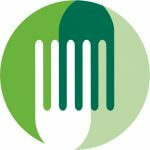 Food Hygiene Advice and direct access to online courses. Register for a subscription to our F&B Management Software Nutricost. Sign up for our Newsletter to receive seasonal ingredient updates and product updates – ensure you menus are the most profitable they can be. We tell you what is coming into season or reducing in cost, giving you time to develop your menus accordingly. We are a procurement company that works with clients from a range of industries, all over the UK, to create a single channel for them to acquire essential resources.